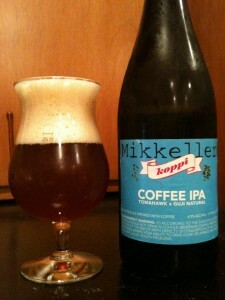 Mikkeller Koppi Coffee is an American IPA. 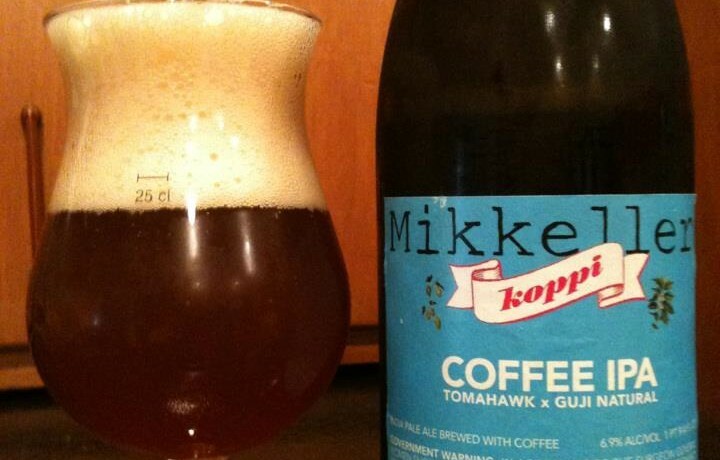 This is the first batch brewed with Guji Natural organic coffee from Sidamo, Ethiopia. The coffee flavor is not very strong but somehow always present. 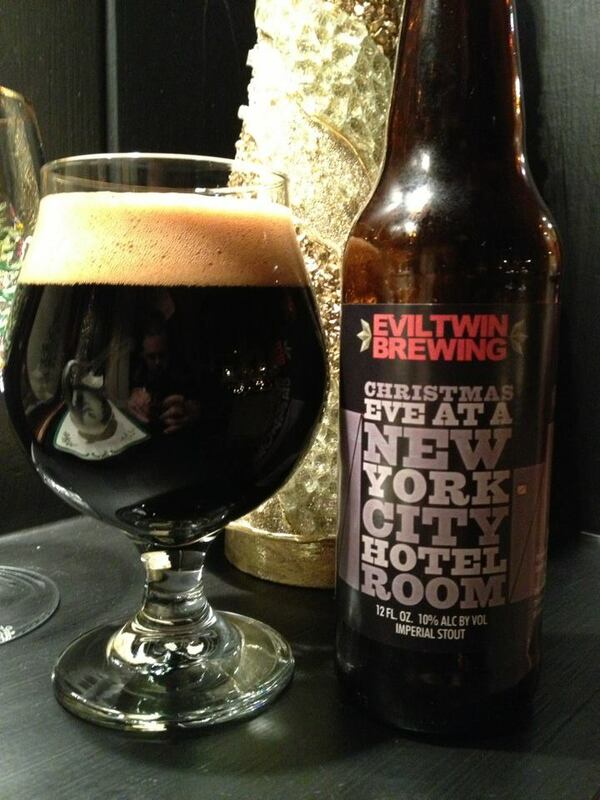 The malt backbone is moderately sweet caramel, and the hops are pine, citrus and tropical fruits. I didn’t have very high hopes going in that this would work, but I was pleasantly surprised. 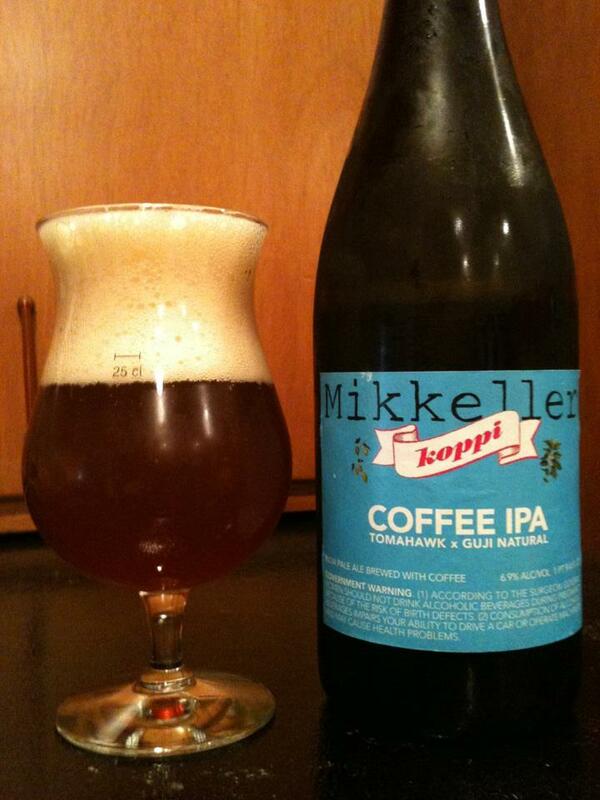 Somehow the coffee is blending quite nicely with all those sweet IPA flavors.